"I have five [episodes] stored up. I'm almost not watching them because I don't want it to end. I just think it's beautiful from start to finish, every performance and the writing--all of it." It's a memory I've briefly touched upon before, but one that bears repeating here. In the fall of 1994, my family was in the suburbs of Chicago for the Thanksgiving holiday. We took a day to visit my grandmother, who was now living in a nursing home as her health had dropped drastically. It was an emotional, painful visit--her memory and recognition was all but gone--and I will never forget the thought that entered my head as we left, looking back at the image of her sitting in a chair as I walked away: "This is the last time I will see her." I tried to shake off the thought, but it was impossible. I never fought harder to fight back tears, and I stepped out of the car before we drove off in an attempt to conceal my emotions from my family. 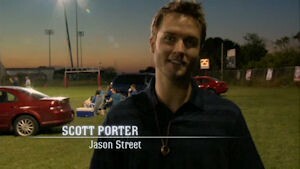 What does this have to do with Friday Night Lights? Nearly 20 minutes into the fifth season premiere, Landry Clarke (Jesse Plemons) is about to head off to college. He stops off at the house of his best friend's grandmother to say goodbye, hugging Mrs. Sarazen (Louanne Stephens) as a sudden moment of contemplation is captured by the show's lurking cameras. We see something in Landry's eyes; it takes him--and us--by surprise. It's a quiet realization, and for me it brought that unforgettable 1994 memory to the forefront of my mind. Is this the last time Landry will see Mrs. Saracen, herself of fading health? Or is his something entirely different, perhaps an understanding of just how much she loves and appreciates him? Ultimately, it doesn't matter...the scene spoke to me, and I interpreted it in a manner that comes from my own life experience. And that's the simple beauty of this one-of-a-kind show, which speaks to every powerful emotion as it beautifully explores the human experience. 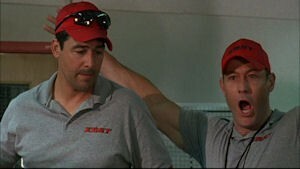 I've always maintained that Friday Night Lights is a show that soars with the little details; the overarching stories and major plot points are essentially irrelevant. It's the little interactions between the characters--an argument, an embrace, a lie, a stare, a sigh, a moment of silence--that speak volumes. This is a series written, performed and constructed by people who know and understand how to convey the common experience we all share in life; there's a relatable truth to every frame, every word and every expression here, something special at the center of each scene's core. Season 5--which aired on DIRECTV last fall and is currently being re-broadcast on initial home NBC--marks the moment I have dreaded: the end. I still rue the day when the writer's strike of 2007-08 crippled the show's second season, perhaps one of the major reasons NBC gave up on first-run rights and full 22-episode seasons (how great would that have been?!). Things changed, and I always wonder what could have been. But if this show has taught us anything, it's to enjoy every moment--a theme that it hammers home in this final 13-episode season, another standout year that once again rises to the show's superlative standards. I'm appreciative of every second we get, and particularly appreciative that the writers knew far in advance that this would be the last hurrah; there was plenty of time for them to prepare for it, a luxury most shows don't enjoy. Season 4 had the difficult task of making us warm up to new characters as the core cast continued to dwindle and we moved settings (across town to East Dillon High), certain death knolls for a lesser series. But only a show this strong could seamlessly integrate these newbies so quickly, making us care about them like they were there from the start. 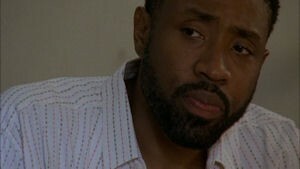 This year sees Lion quarterback Vince Howard (Michael B. Jordan) step further into center stage, his life turned upside down by the return of his convict farther Ornette (Cress Williams). Not only does Vince have anger and abandonment issues to deal with, he worries what his father's return will mean for his fragile, recovering drug-addict mother Regina (Angela Rawna). The dynamic between the three is a driving force for much of the season, and our hopes and fears are both realized through the course of their developing arc--which reaches a new level when dad sees an opportunity to enter the recruiting game for his hot prospect son. Is Vince too critical? Is Regina too forgiving? Will Ornette--which we (perhaps unfairly?) see as a ticking time bomb--surprise us in a good way or a bad way? The answers in this show are never simple, and the complex relationship among the trio is one of the best the series has ever offered. The constant fear of one of these three characters failing or disappointing themselves makes for some powerful viewing; we're invested in them, and the air of uncertainty is like walking through a minefield. Jordan in particular is fantastic, stepping into his bigger role with assurance. We can see the turmoil raging inside him as he tries to do the right thing, which isn't so easy with the temptations in front of him--both on the field and off. That includes the lure of colleges and girlfriend Jess Merriweather (Jurnee Smollett), who this year strives to be a bigger part of the Lion football team and pursue her own career path--a move that frustrates Vince. But the two also share many happy times together, which is a joy to behold given the duo's chemistry. 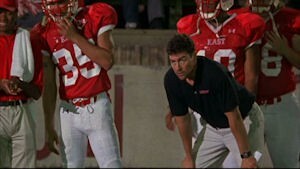 Meanwhile, Lion teammate Luke Cafferty (Matt Lauria) has big ambitions entering his senior year. But distractions come in the form of shady recruiting practices, one of the show's many subplots that creates believable tension--in this case between Luke and Vince (that's one of the many strengths of this show--most of its stories arise and develop organically; they make sense). Luke also gets distracted by classmate Becky Sproles (Madison Burge), who I'm happy to report isn't annoying this season! I found her hard to embrace last year, one of the few characters this show didn't convincingly "sell" me. But removed from her crush on a now-jailed Tim Riggins (Taylor Kitcsh), we're allowed to experience Becky from a fresher perspective--and she's a breath of fresh air this season. Part of that comes from her interaction with Mindy Riggins (Stacey Oristano), an unlikely bond formed when circumstances force the two together. FNL has always had a crop of supporting players ready to rise to the challenge, and the versatile Oristano is one of the breakouts this year--she's one of the few who gets to enjoy large amounts of comedy along with the drama, blowing them both out of the ballpark (er, stadium?). She's the show's secret weapon this season. It helps that she has husband Billy (Derek Phillips) by her side, and lord knows he needs it. 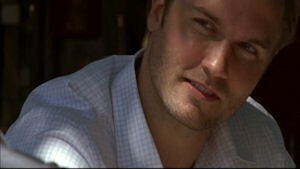 Wracked with guilt over the imprisonment of brother Tim, Billy searches for forgiveness and purpose--and just 10 minutes into the season, he gives us one of the show's signature "moments" as he asks for a favor (this show hasn't lost its touch...where are those damn Kleenex?!!). Like Oristano, Phillips gets to have more fun than most of the cast (this year, he gets some fun bonding time with Luke)--but this season allows him to show off an even greater range in a role that has grown each season (he should be in the opening credits). The season is bookended by his damaged relationship with Tim, who is released a changed man. But thanks to the late return of Tyra (Adrianne Palicki, who shows up when we appreciate her the most) during the holidays, we're given some hope that anger won't completely consume Tim. 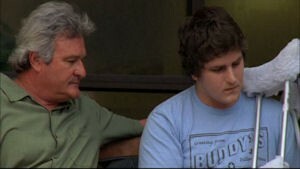 Also getting some valuable minutes this year are mainstay Buddy Garrity (Brad Leland), who faces some challenges with his troubled son Buddy Jr. (Jeff Rosick). As with other seasons, this one has its little annoyances. Whereas Becky has shed her annoying skin, Julie Taylor (Aimee Teegarden) has picked it up. Entering her first semester at college, she quickly becomes romantically involved with a married teacher's assistant (Gil McKinney) and threatens to drive us insane with her immature, selfish behavior. I'm not sure why the writers felt the need to tackle something so unnecessary; there is a wealth of far-more relatable struggles young adults face when entering college, and this subplot feels too "big" for the show's usual scope (and makes her too whiny at times). I have a few other extremely minor disappointments: There isn't nearly enough of Coach Stan Traub (Russell DeGrazier), a hysterical bundle of energy (that Billy describes as "a freakin' weirdo...with the repeating of everything that everyone says...it's annoying!"). I was hoping the development introduced in Season 4 would have some sort of continuation this season--if only a 30-second scene to give us a snapshot of his life or acknowledgement from those around him--but to no avail (it's an extremely minor irk that most viewers won't find issue with). And given that Grey Damon was inserted into the opening credits from the first episode of the season (the only new name to break in), I was shocked at how little was done with Hastings Ruckle, the newest member of the Lion team (who virtually disappears from the storyline after he joins the team). Also not making a mark is troubled student Epyck (Emily Rios), although it becomes clear that she serves her purpose. This season has Eric on steadier ground with the team after a rebuilding year, while Tami struggles--with both students and her co-workers--as she takes over as guidance counselor at East Dillon. I'll try to keep the gushing to a minimum, but I will say that this season throws the married duo a challenge unlike any other it has ever faced, another organic element that is believably introduced before it naturally builds toward season's end. It's one of two big challenges that threatens not just their relationship, but the future of the football program. This season also gives us one of my favorite scenes ever, in the opening third of Episode 5 (one of my favorite episodes of the whole series). The scene exemplifies what makes this series so unique and special. 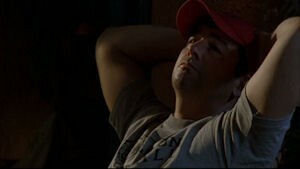 Friday Night Lights has an aura that's hard to capture with words; it compels thoughts, questions, reflection and feelings, all of which come into play on the face of a quiet Coach Taylor as he sits outside his hotel room the night before an away game. Above his room filters the conversation among four players on their balconies, unaware that he's there listening to every word. If this were any other show, the purpose would be clear: Conflict would be created as Coach overheard something he shouldn't have. But this isn't any other show, and the beauty of the moment lies in its simplicity--it's the kind of scene that would be deemed "throwaway" material anywhere else, but here it's the essence of the series. Watch Eric's face as he listens--taking everything in, anticipating what will be said, perhaps wondering if he should go inside--and comes to the same realization at the same time we do: "These people are pretty special." It's a wonderful scene that allows us to absorb and revel in the pride, camaraderie and love that these characters share. But that's no surprise, because we know Coach is a builder of men: "I didn't say you needed to be better than everyone else, but you gotta try. That's what 'character' is--it's in the trying." You could say it about the series as a whole, but Season 5--in addition to focusing on savoring the moment--is also about growing up and moving on. Sadly, it's something we have to do as well. Just 14 minutes into the season opener, a caught-in-thought Coach gets lost in the moment as he watches his wife and daughter, who is soon leaving for college: "...I'm gonna miss this," he shares, a feeling its fans understand all too well. "Life's harder when you really love someone." Like the other season sets, this one arrives in an anamorphic 1.78:1 transfer that is faithful to the original broadcasts. FNL looks a little hazy in long shots--which appear less sharp and filled with grain--but close-ups reveal excellent clarity detail, with things like skin tones always impressing. It befits the show's feel perfectly. I experienced a few minor technical glitches in just a few spots on this set, which is probably (hopefully) just with this copy: a few spots in Episode 11 and in the featurette had quick "skips" of anywhere from three to nearly 30 seconds; I could rewind and pick up most of the "skipped" material, but it was slightly annoying. The 5.1 track is also solid, although it seems there's less football this go round to impress us with rear sounds. The music--an essential ingredient to this series--is always balanced and integrated perfectly, and dialogue is always clear. Optional English subtitles are available. "When they called me and said they wanted me to come back for an episode in the fifth season, there was no way I was gonna miss it. I called everybody that is in charge of my career and I said, 'Make sure that my calendar is clear.'" 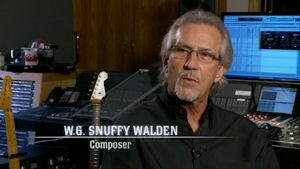 The bonus features are led by The Lights Go Out (29:00), which talks with the producers, cast and crew about the series. 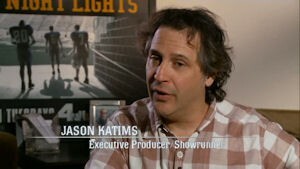 Executive producer/"Showrunner" Jason Katims leads the way, contributing the most as others chime in along the way. The opening segment explores the evolution of the show, looking at the purposes/challenges of each season. The focus then shifts to the writing process, followed by the unique filming style ("We call the cameramen 'snipers' cause half the time we don't know where they are," says actor Derek Phillips) that contributes to the improvisational looseness and emotional truths the series is known for (creator Peter Berg notes it was crucial to make the cast feel free to explore). Shares co-executive producer David Hudgins: "There's a lot of dream crushing on this show. Every episode isn't all about hope and beauty and nice things. We give characters dreams and we crush them...that aspect of the show is what I think makes it relatable and real to our audience." The Austin filming location is also touched upon (Katims notes they do a lot more visual effects that you might expect), as is the finale/end of the series. "That final episode of the show, to me, is the thing I'm really most proud of of anything I've done. I wanted it to be great, and I wanted it to be an ending," says Katims. "I just feel really lucky to have been part of a group of people as talented as the people who are involved in making this show, and to be part of a show that was, like, meaningful." The love emanates from everyone interviewed, and the general consensus is that the way things are done on this show is extremely rare and unique in the business--and an experience most all agree will never be matched. "As the wrap party comes up, I just hope that I don't weep when I get to say 'thank you' to everyone involved in all this, and say my goodbye," says Kyle Chandler. "It's been the best experience I've had till now. If the rest of them are half this good, I'm in good shape." It's a nice, all-encompassing featurette that hits on many of the show's strengths--although as a diehard fan from Day 1, they just scratch the surface for me. I could use at least another hour learning how the magic was created, and I really wish we got a lot more time with Chandler and Connie Britton. Still, a great watch that really speaks to the show's collaborative nature. Two audio commentaries are also included: producer/director Michael Waxman speaks on Episode 10 ("Don't Go"), while Katims lends his thoughts on the finale. Waxman talks about finding the magic while filming the show--and notes that many fans have a misconception that the show is improvised, nothing that about 90 percent of the dialogue is scripted. He also notes that little Madilyn Landry is one of three twins (and gets all of the speaking parts as little Gracie), and says Michael B. Jordan brings an intensity to the role--and true magic is made in his scenes with Chandler. 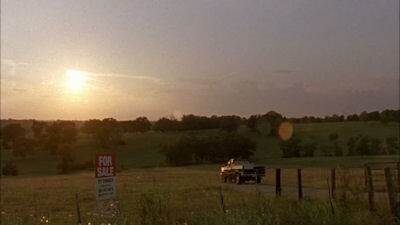 We also find out that the show almost didn't get the Taylor house back for Season 5 (crises averted! 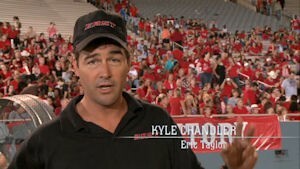 ), and that Chandler is a pro at making bacon for the cast and crew (a bacon sandwich from Kyle Chandler? Sign me up!). Waxman also brings up other neat details about the cast and the shoots (watch for a slight gaff with Coach's hat). Katims talks about how he wanted to honor the entire show with the finale, honoring its early years as well to help make it feel like a bookend to the series. His is the better track, and filled with love...it's essential listening for fans of the show. 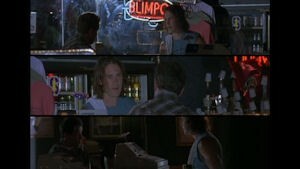 A handful of deleted scenes (in non-anamorphic widescreen) are also viewable by episode, most of them worthwhile watches that could have easily been included: Season opener "Expectations" has three scenes (3:25), including a wisely excised dose of Julie bitchiness; Episode 7 ("Perfect Record") has five additional scenes (9:00), including a fun Billy/Luke moment and a memorable Jason Street speech; Episode 8 ("Fracture") adds one (1:07); Episode 10 ("Don't Go") adds two (2:20), both expanding on Buddy and his son; while Episode 12 ("Texas Whatever", an episode directed by Chandler) adds one brief (:58) Julie/Tami moment that was also a good deletion (it feels a little forced, like it was filmed to connect two dots that didn't really need it). A photo gallery is presented in Yearbook form, divided by the five seasons, while trailers round it out. 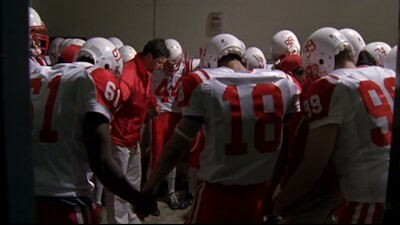 When you consider the challenges thrown Friday Night Lights' way--low ratings, a writers' strike that shortened a crucial season, a network switch and healthy cast turnover--it's stunning that the show never dipped an ounce in quality. From start to finish, it's one of the finest hours ever on television. 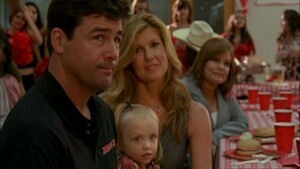 It's hard to accept that it's over, but the legacy of Friday Night Lights will live on. This season is as glorious as all the others, capped by a gripping challenge to its core couple and a beautiful ending that couldn't have been handled any better. I've never handed out the highest rating on this site, but now that this show is complete, the DVD Talk Collector's Series label is long overdue--for this and all of the reasonably priced seasons. Add them to your collection; you won't be disappointed.